The workshop covers a wide range of techniques in the monotype process and continues with chine colle/ collage and the integration of the Solarplate intaglio process. Working with Akua non toxic waterbased inks participants of all levels of experience will be encouraged to pursue their artistic vision using monotype and Solarplate as mark making tools in combination with whatever other techniques are efficient and available. The notion of the “artist as an inventor” will be stressed and the open-ended approach will lead to limitless opportunities. All inks, in studio supplies, one 8×10 Solarplate and 5 sheets of Arches 88 paper are included (additional Solarplates and paper are available for purchase). A suggested materials list will be sent as it gets closer. 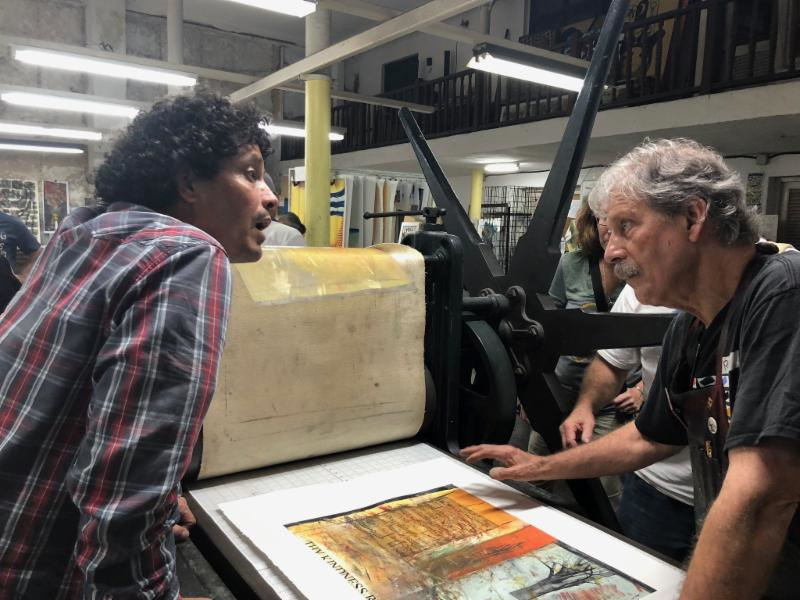 With numerous demonstrations, the interspersing of art making philosophies, extended open studio time and highly recommended day trips this program will be an intensive, information packed, enriching experience. Participants will have full access to the shared studio spaces at any time of day or night, internet connection and use of the common rooms. The Ballinglen Centre offers an extensive art reference library, gallery area, an archive collection of over 500 works and knowledgeable staff available for guidance during office hours.